Kenyan radio presenter Tanasha “Donna” Oketch has received the backing of Diamond’s sister, Esma Platnumz, as she embarks on a relationship with the Tanzanian hitmaker. Diamond and the NRG radio presenter have been the talk of the town after the Bongo Fleva star declared his intent to marry Tanasha. The move has not been met well by a sections of Tanzanians who claim that Tanasha is not a wife material. There have also been rumors that Tanasha had a fling with Nigerian star Wizkid after they were spotted at a party recently. Their relationship has clearly begun on a rocky start but Diamond’s sister has come out to throw her weight behind Tanasha. Speaking during an interview with Risasi newspaper, Esma said that Diamond is content with Tanasha and that she respects his decision. 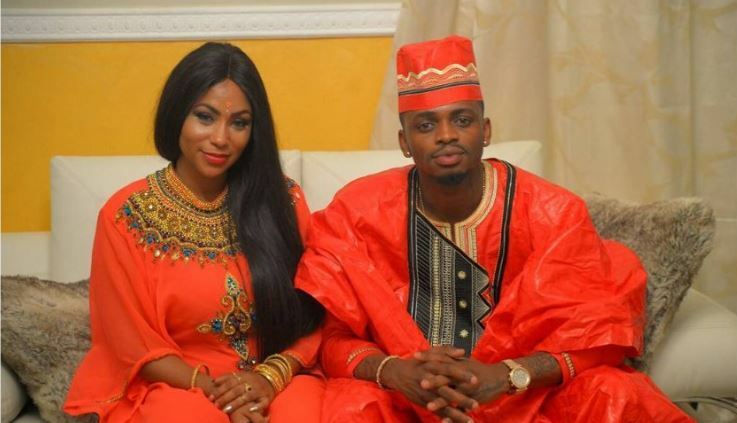 She added that she has already accepted Tanasha as her sister-in-law as long as she does not turn out like Diamond’s former flames, Zari Hassan and Hamisa Mobetto.